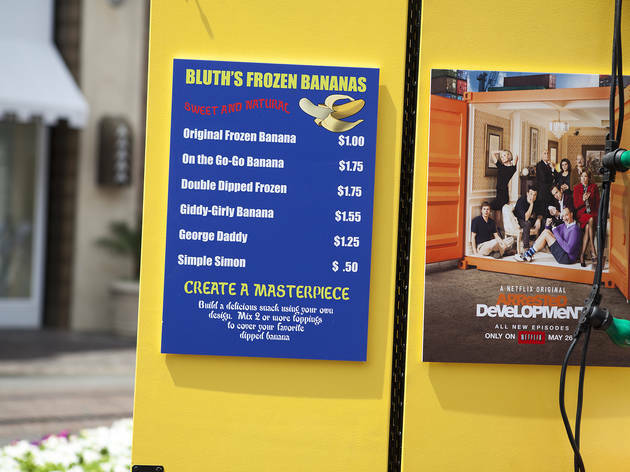 In the characteristically genius publicity world tour, Bluth family's banana stand from the show Arrested Development pops up at the Grove. 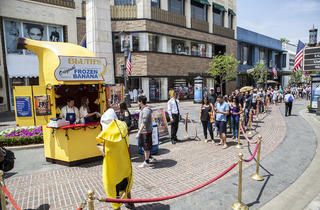 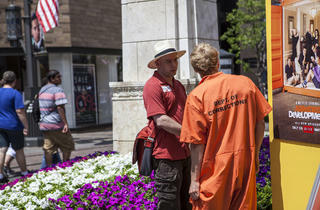 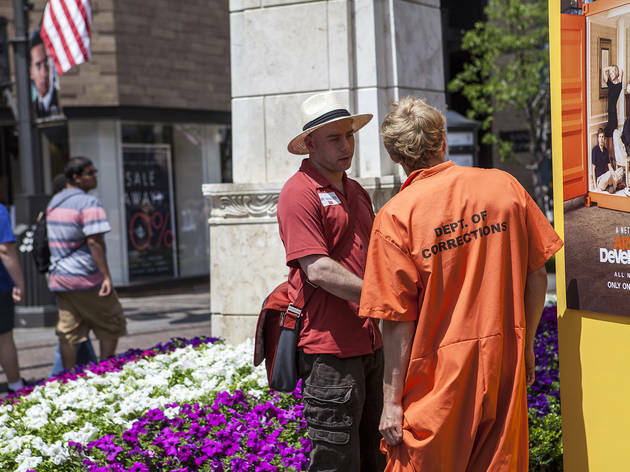 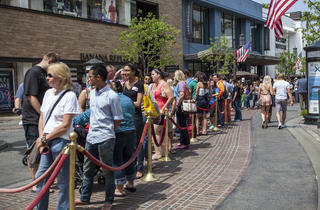 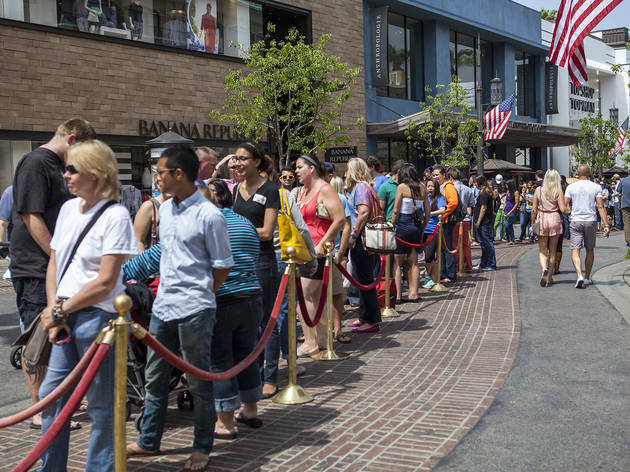 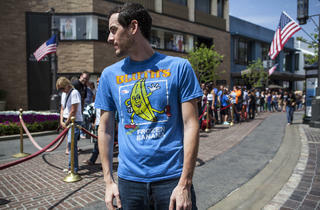 Hundreds of eager fans waited in line for their own stab at finding money in the banana stand Tuesday morning at the Grove. 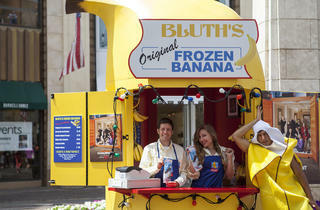 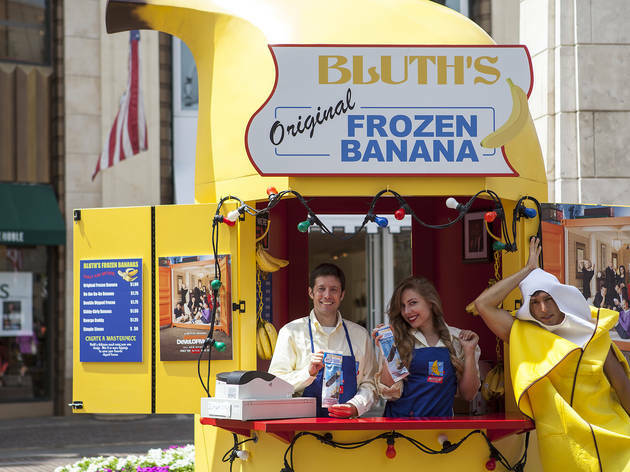 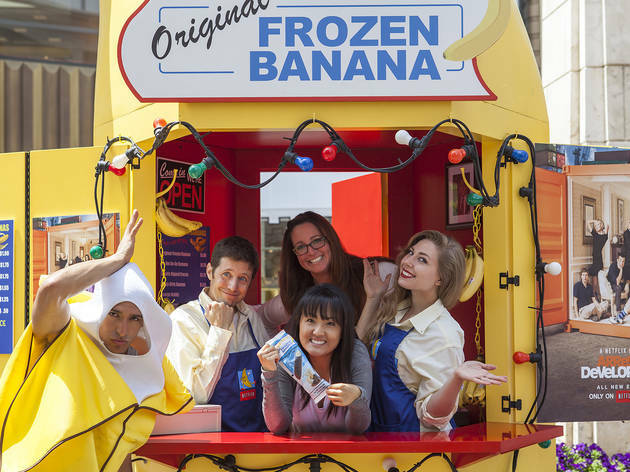 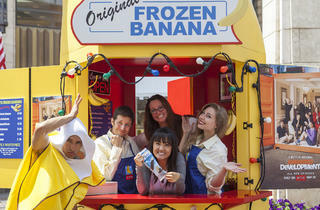 Arrested Development's iconic Bluth's Original Frozen Banana stand set up shop as part of the show's publicity world tour leading up to its highly anticipated new season (starting Sunday on Netflix). 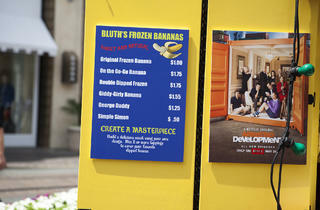 The bright yellow stall was flanked with an ornamental menu and new posters of the cast. 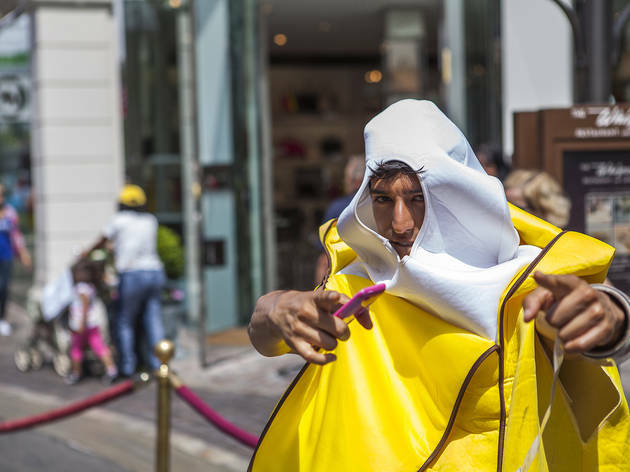 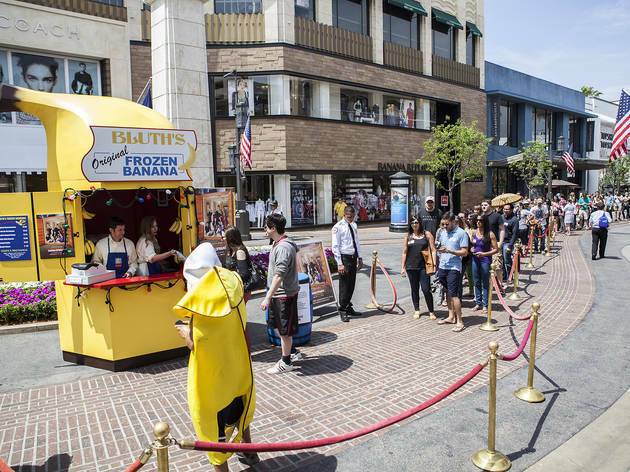 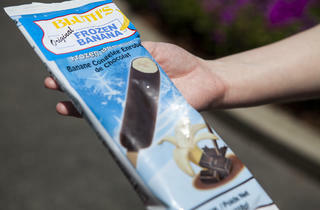 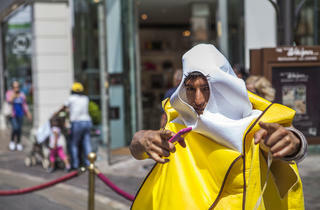 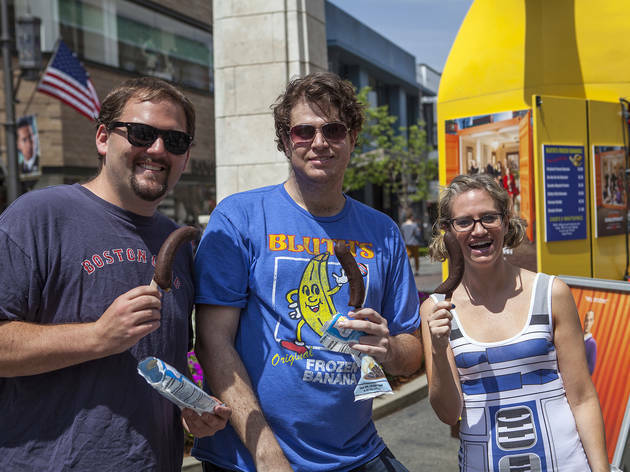 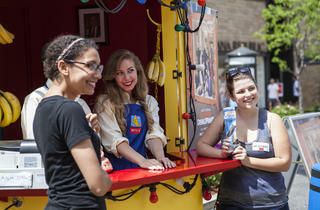 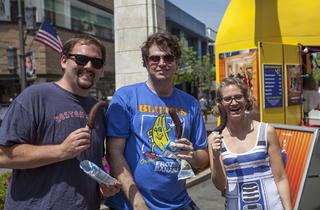 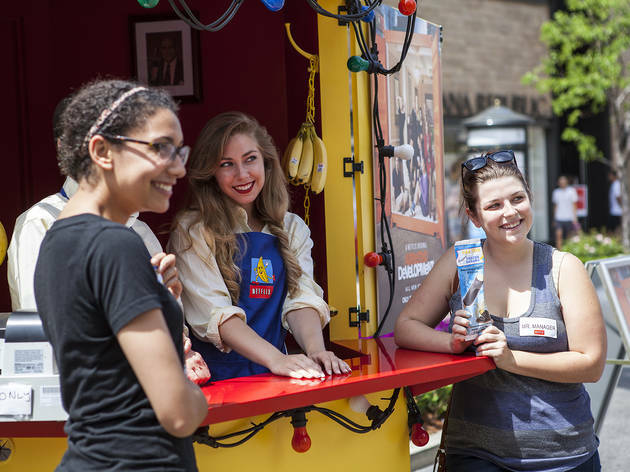 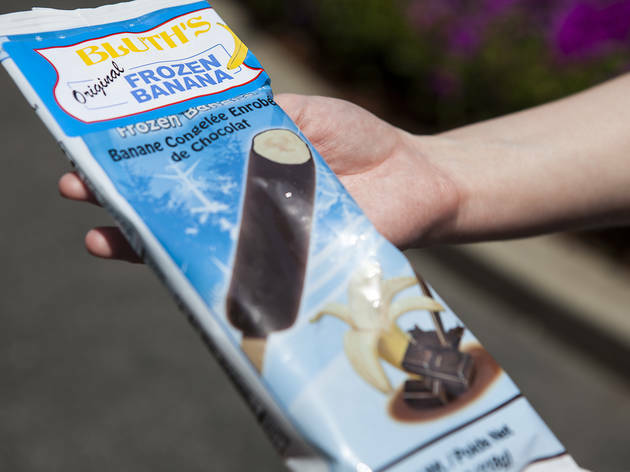 Picture-perfect employees handed out free chocolate-covered frozen bananas while vamping with guests for photos, provided by a man in a plush banana suit. 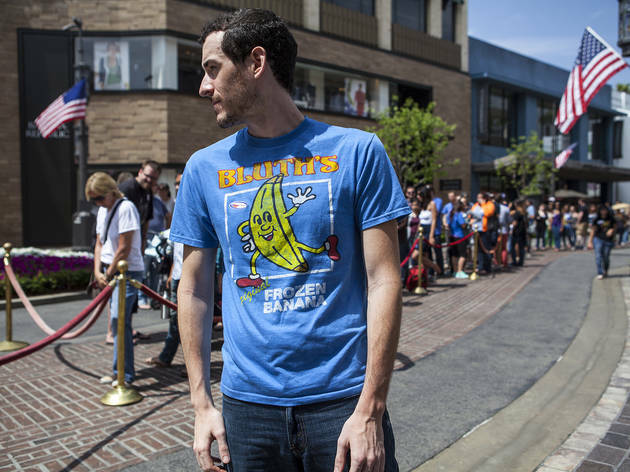 Although no never-nudes were in sight when we visited, plenty sported bright blue Bluth Banana Stand tees, and overheard mentions of "Mr. 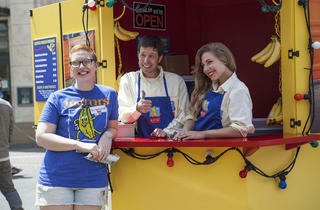 Manager" and "Banangrabber" were aplenty.